College life can be the best or the worst that ever happened to you, depending on how you manage to organize all the important stuff. This period is both time and money consuming, and sometimes there is a lot of stress involved, so we can call it a challenging entryway to the adults’ world. Maybe for the first time in your life, you have to worry about things like monthly budget and utility bills. However, it is possible to deal with these challenges that are preparing you for the “real life” in a way that will still preserve the bright side of the students’ days. When you first start studying you have big plans, but, despite your best intentions, the plans soon enough slip through your fingers. A time-management system can be really useful here. You can use your smartphone, Google calendar, or a paper calendar if you prefer it the old-fashion way. Writing down all of your academic responsibilities as soon as the semester starts will keep you on the right track, but you should also have some sort of plans and goals you will try to achieve each week (e.g. learn a new lesson each week). Getting assignments done on time will leave room for other more fun aspects of college life, so reaching optimal productivity is very important. First, you should find the right environment to work in (are you a loner or a “crowder”). Once you do that, you’ll have to discover at what time of the day your productivity reaches its peak and work then. Prioritize your assignments so that the most important task is always on top. Also, if you are dealing with a major project, try to break it down into smaller assignments to make it easier. The place you live in will largely influence how you feel, how you sleep, and how you study, so it is not a small decision to make. 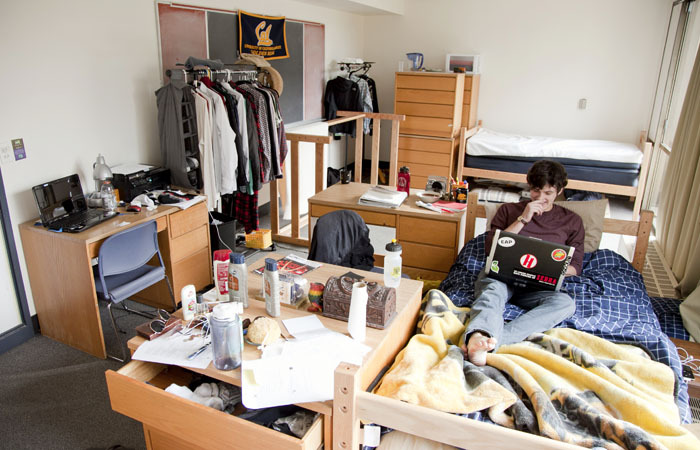 The quality and appearance of typical student accommodations will vary from one city to the other, but finding a fully-furnished student accommodation in larger university cities shouldn’t be difficult. If you are going to live with a roommate, make sure you have similar habits and sense of responsibility. Budgeting is usually a relatively new thing for people just starting college, but soon enough you will understand how essential it is. It’s something you’ll have to discuss with your family, but having a timeframe and a list of the incomes and expenses is reasonable. You can always opt to get paid to take surveys online and supplement your income that way. Also, put some money on the side for emergencies. Many students are living on nothing but fast food and carbonated beverages. That is not good for your health or looks, and it can have a negative effect on your productivity too. You can try preparing meals out of fresh ingredients by yourself, and not only you’ll be healthier, but you will also save money and learn a new skill. The best thing about it is that it is not even as complicated as you might think, and you can Google a ton of simple recipes made just for students. Now that you have all the boring things covered, it’s time to go out and make some friends. They will make your college days easier and eventually turn them to the best memories a person can have. Also, friends on college can help you when you need a study buddy or simply someone to talk to when you feel too stressed-out.